Football accumulator tips for this week’s Tuesday evening matches including the reasons for each pick and which bookmaker to use on our accumulator bet. Championship action dominates this Tuesday accumulator tip with both Birmingham and Bristol City featuring as they aim to follow Saturday victories by winning their respective midweek fixtures. Decent home team Hull are also covered as they host lowly Rotherham while struggling teams Yeovil and Aldershot have also been selected as they seek survival points in League Two and National League action respectively. 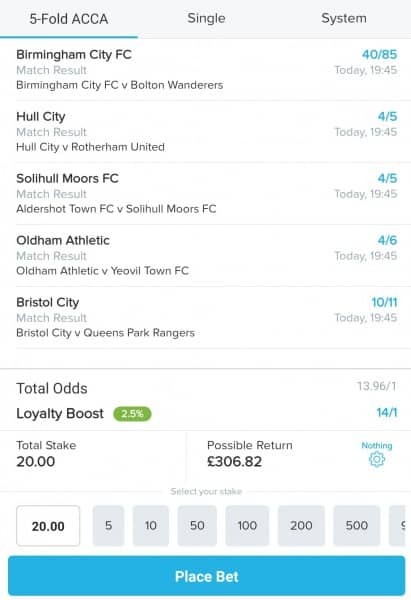 Accumulator Odds – 14/1 with BetBull. 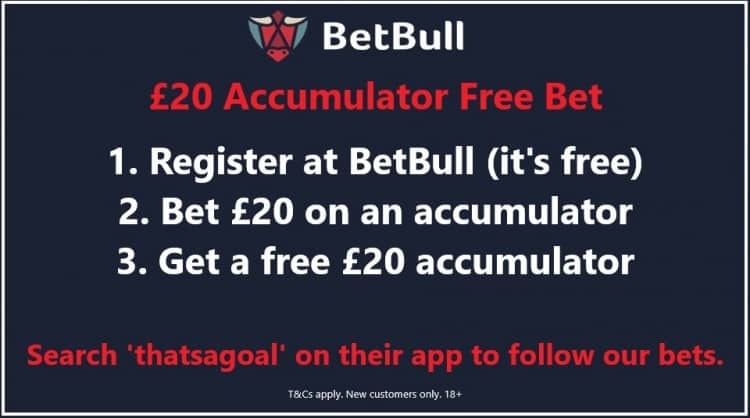 £20 wins £306 – win or lose get a £20 free bet when you open an account at BetBull. Birmingham vs Bolton Betting Tip – Birmingham win. Having netted in all five previous Championship games for Birmingham this year, Che Adams proceeded to claim a first half hat-trick for the Blues as they led 4-0 at QPR at one stage during the opening period of Saturday’s encounter. Birmingham eventually won 4-3 after the hosts missed a late penalty and they will now be seeking a third successive victory when Bolton visit St Andrews. The Trotters will enter this game having earned just one point this year and they have lost their last seven competitive fixtures on the road. With the Blues netting nine goals in their last three matches, they should overcome Bolton. Bristol City vs QPR Betting Tip – Bristol City win. After conceding four goals during a poor first half performance on Saturday, QPR demonstrated much resilience in just failing to claim a point when beaten 4-3 by Birmingham at Loftus Road on Saturday. However, Rangers did expend much effort during that second-period fight-back and they have yet to win a Championship match this year. Hosts Bristol City have been quietly accumulating points during an encouraging recent sequence of form. Eight successive victories have been claimed but with no more than two goals netted by the Robins in each of those games. City may secure another narrow win. Hull vs Rotherham Betting Tip – Hull win. Following a productive December when they won all six of their Championship contests, Hull have not been so dominant in recent weeks especially on their travels. Yet the Tigers have claimed three points from each of their fixtures at the KCOM Stadium this year without conceding a goal. Visitors Rotherham will enter this game having not won on the road all season with no goals scored in their last three away matches in league action. 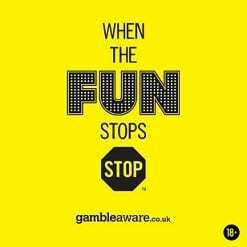 Another Hull win is predicted for our accumulator today. Oldham vs Yeovil Betting Tip – Oldham win. The relegation concerns of Yeovil continue to increase after they suffered a fourth consecutive League Two loss on Saturday when beaten 3-1 on home soil by Grimsby. Just two league victories have been earned by the Glovers since the beginning of November when winning twice during January and they now face an Oldham team which has become inconsistent but also capable of winning games. The Latics have also lost just one league contest at Boundary Park since mid-October and they should seal all three points for new boss Paul Scholes. Aldershot vs Solihull – Solihull win. A turbulent finish to a weekend game at Ebbsfleet resulted in both the hosts and Solihull reduced to nine players but the visitors claimed all three points with a single goal victory. The Moors were completing a sixth competitive win this year and could secure top position in the National League by winning this fixture at Aldershot, with the hosts failing to win a competitive match since the beginning of November. Confidence is in short supply for relegation-threatened Aldershot and they could slump to third consecutive home defeat.